"Our family moving your family"
It’s time to start school soon, and for many of you, that means living in the dorms for the first time. 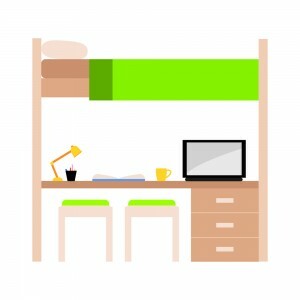 While you might be used to having one bedroom to yourself, or even sharing a room, it can be challenging to condense all your possessions into the space afforded by most dorm rooms. 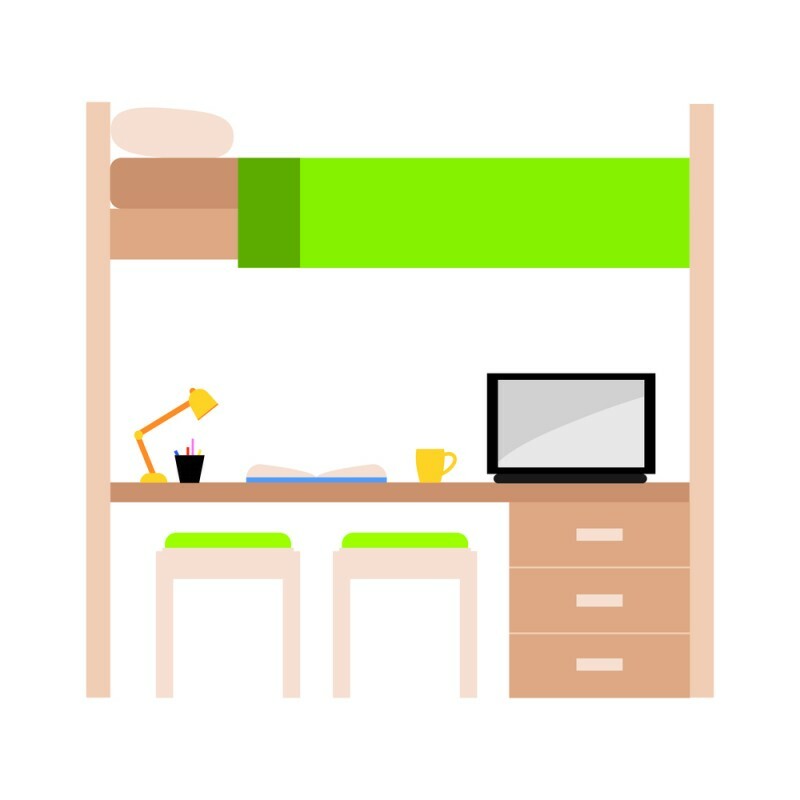 If you were able to get a look at your dorm before moving in, you should plan ahead and try to implement this tips to maximize your space. Even if it’s just a full-size mattress, your bed can take up plenty of floor space. Get that space back by either getting a solid loft frame from most major furniture shops, or if that’s not viable, buying cheap bed risers that can give you around 5″ or possibly more inches of storage underneath. A loft is ideal because you can put your desk, a fridge, a microwave, and similar things under it. But even having a place to store clothes or books under the bed helps out a lot. Note that some risers even come with extension cords so you can plug electronics into them. Speaking of storage space, it’s time to check out all those organizer items you can get at Wal-Mart, Target, or big furniture outlets. From modular cubical shelves or milk crates to over-the door organizers, there are plenty of devices people have made to help with specifically this task. For example, you can get a relatively-cheap hanging closet rod to go under your existing one, which doubles your space. Or you can get under-bed plastic or cloth organizers, or maybe can install hooks and shelves under your loft bed. Make sure you put everything away in these organizers to avoid cluttering up your space. Sure, it can seem like a drag to always put your books back where they belong, but having them scattered all of your desk is going to cause more anxiety than putting them away will. You’ll feel like you have more space to relax in if everything’s sorted. When it comes to using space, consider all your furniture. What else can it do? If you have a loft, can you secure some soft organizers under the box spring? Can you put hooks on the wall or ceiling? If you need to buy a chair, can you get one that can fold into different shapes? Need a coffee table or ottoman, can they come with storage space? Try not to waste any space on a single-use item. If you have several related items, like shelves or kitchen appliances, think about stacking them on top of each other. Cheap locker shelving can help you get more room on top of the stack, or provide a little breathing room between fridge and microwave. If you have folding or cubical shelves, see if they can go on top of each other–possibly secured with strong tape—so you don’t need to occupy too much wall or floor space. And if you have several chairs, can they be stacked when not in use? Or shoved under another space? Also, try to decorate all the way up to the ceiling–this can make your space feel more comfortable in a small amount of room. Talk to your roommate, and see what they’re planning on bringing. For example, if they already have a couple chairs that fold out into loungers, maybe you can provide the storage ottomans. Only one of you needs to bring a microwave or a coffee maker, so split those up. Same with organizers–if you have a pretty large in-closet shelf unit, maybe they can share some of that space in exchange for over-the-door organizers. But for everyone’s sanity, don’t get bunk beds–those lose their charm when everyone’s an adult and have different schedules.